Permission to access the Manage Resources Module on the My Resource Module on the main system is enabled via Role Permissions on the Administration Site. The Permission is called "Resources - Upload"
On the main system, user with access to this module can create new Resources, as well as upload, edit or delete existing Resources. This will now be restricted so that these users will ONLY be able to manage Resources within Categories they have access as part of their Role/s. Once they are assigned "Manage Resources", Site Administrators have access to all Categories, regardless of what Categories are assigned to the Role/s. 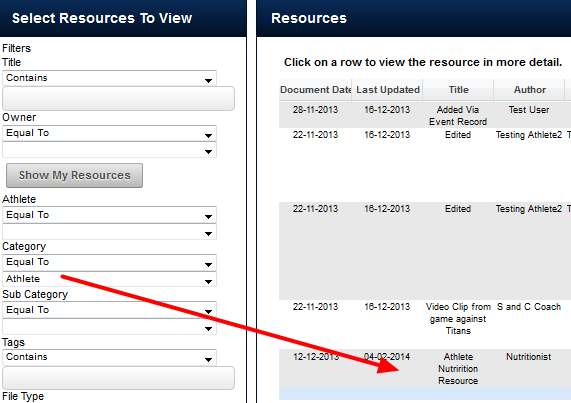 From the Manage Resources Module, click on the name of the Resource, or the Edit button. 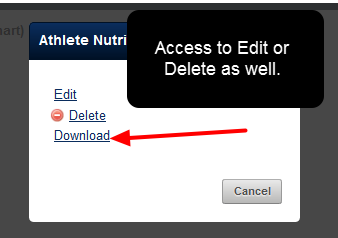 For example, you may have a new nutrition guideline that you want to be assigned to some specific athletes. When a users' name is added this Resource, the Resource appears in their Sidebar for that User, and it also appears on the Resources Page under the User's name. N.B. 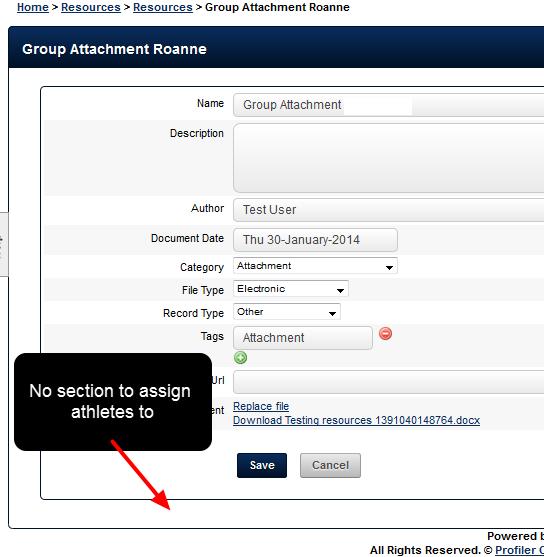 If the section to add additional users does not appear, then you will have opened a Attachment-Resources. These cannot be re-assigned to additional athletes as it is against data protection act requirements. The example shows Users being assigned to this Resource. 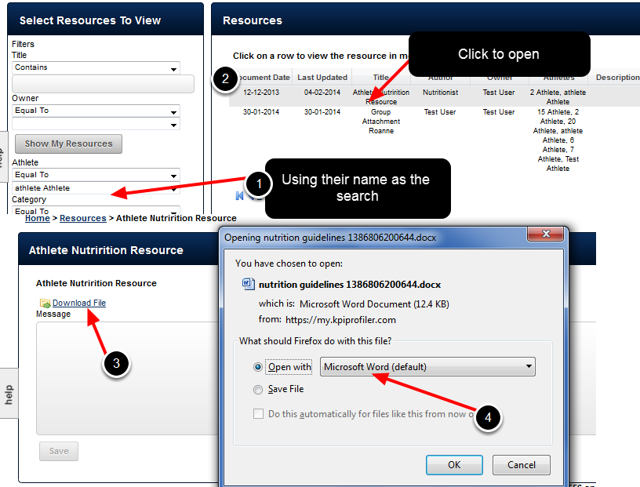 For these Users, the Nutrition Resource will appear in the Sidebar for them to access, and they can use their name as a search parameter to locate this Resource on the My Resources Module. 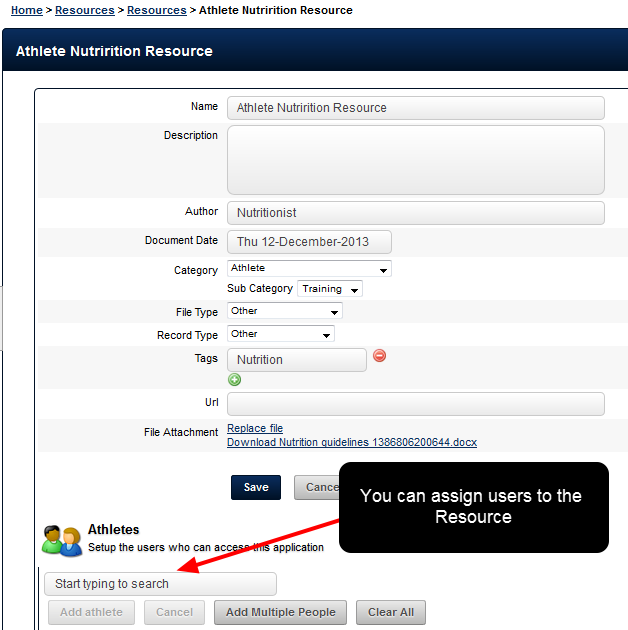 Additionally, other users can also use the athlete's name as a search parameter. The example shows that an Attachment-Resource has been opened. These are Event Form Attachments that are set up so that they are treated as a Resource and as an Attachment. They cannot be reassign to additional athletes. 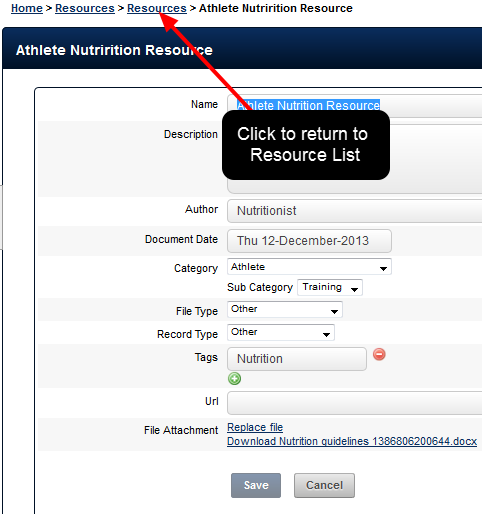 Once the Resource is assigned to specific users, you can use their name to search through the Resources Module with if you have access to the Category. The example here shows Athlete 4 being selected. 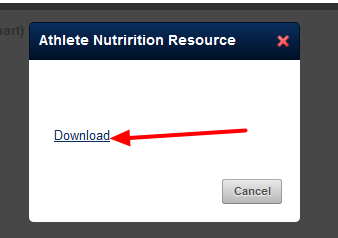 You can use the "Athlete" Category as well to locate the Resource. 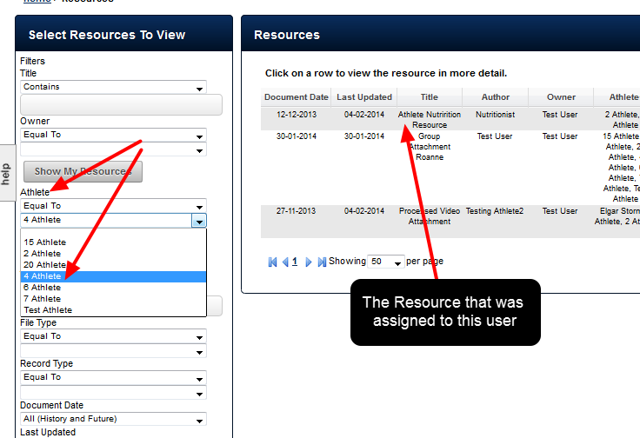 If the user has access to the "Manage Resources" module as well, they can also edit, delete or download this Resource from the Sidebar, just as they could if they were on the My Resources Manage Resources Module. Prev: What happens when you delete a Category? Red Error messages when you add a new user? What is a Coach Administrator Licence and what can these users access on the Administration Site? Favourites NOT appearing in the Page Layout? Why do we need Categories (Folders) to be set up on the Administration Site? What happens when you delete a Category? New Users can now Register for the system on a Registration Page. How to add new users, assign groups and manage system access, through to setting up Custom Messages or Favourites on a users system.